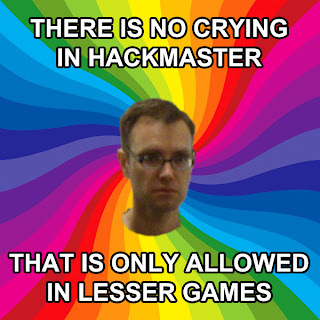 It isn't a big secret that my favored game is HackMaster. The thing is when I get to play it is in my wife's campaign which is often completely home-brew. When we first started her HackMaster Basic campaign though we got to play in the pretty cool Frandor's Keep setting. One of our group's adventures was dealing with this odd "savage" obelisk in the foothills surrounding the Keep. I remember a bit of this adventure, but one thing I don't remember is that the adventure was a "bonus" adventure from KenzerCo's Steve "Stevil" Johansson. 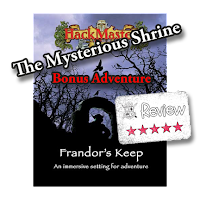 Today I went to DriveThruRPG and went looking for some free adventures and was pleasantly surprised that The Mysterious Shrine was available as a "bonus" adventure. 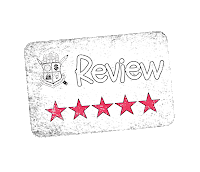 Now if you play HackMaster this download is a no-brainer, but I could see GMs from other games simply passing this great little adventure over because it isn't tailor-made for their system. The Mysterious Shrine starts off with the obligatory GM background. While this adventure is clearly intended to be set in a quite specific location, it is extremely easy to relocate. As far as the background goes, there are only a couple of proper nouns that would need to be changed. If you did relocate it, the half-page area map really isn't needed (ie. use your own) and only a couple of minor tweaks to the "Getting the Players Involved" section are required. Heck, there are even two rumors you can fold into your campaign rumor table, assuming you have one. There is a rather good local map that I doubt you'd need to change at all and modifying the NPCs & monsters are easy because they are simple staples of every Fantasy RPG. There are a couple of ways the adventure can unfold and three distinct "aftermath" scenarios are listed. When I played this with my group I recall us performing well and having one of the better outcomes. As I got to read this adventure today I saw how differently things could have played out for us. 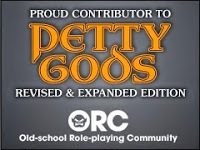 The different outcomes really add a lot of role-play opportunities and, in my opinion, are better written than what I've seen in most adventures. from KenzerCo. Having a simple list of treasure and experience yields that the GM can just check off is a real boon. I think that The Mysterious Shrine is a good side adventure that is easily incorporated into almost any Fantasy RPG system. I'd love to see more of these four or five page adventures.